Make sure you don't miss future articles in this series! 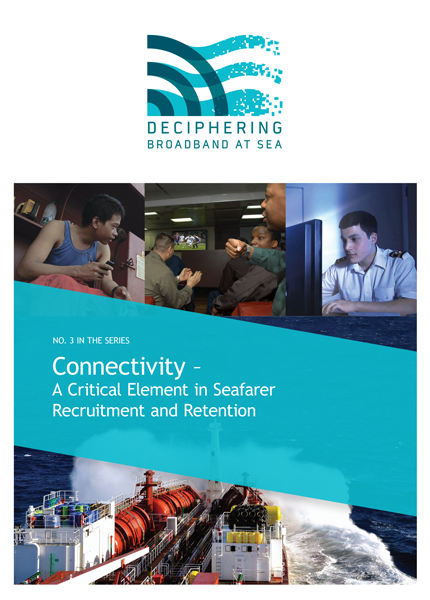 Can Maritime Operations and Crew Entertainment Coexist on Your Satellite Network? 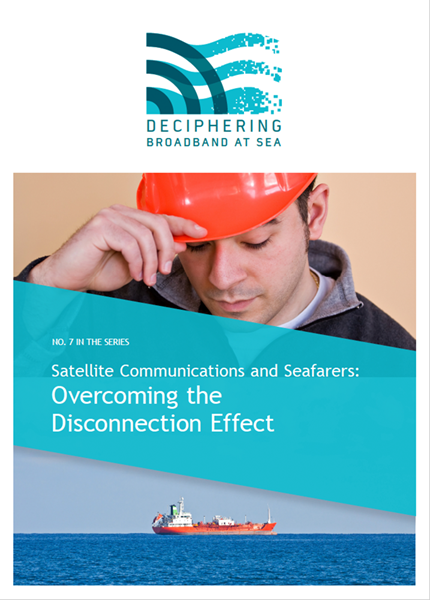 There’s a new approach to addressing skyrocketing data usage – and it starts by overturning some myths about maritime broadband. Asking the right questions up front is the best way to make sure you end up with the right solution for your vessels. Fleets that provide a reliable digital link will satisfy expectations of high-quality crew and gain a competitive advantage in the commercial maritime industry. 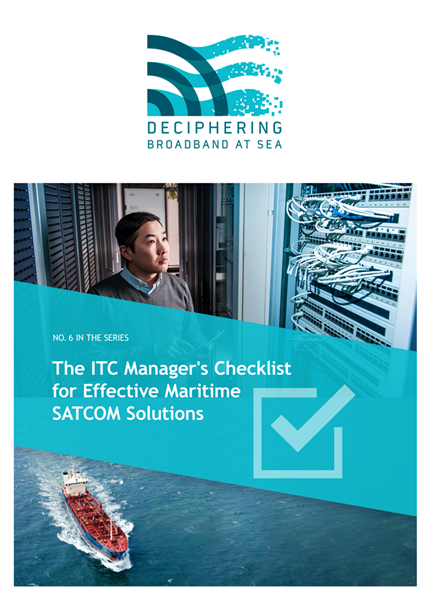 A viable long-term shipboard communications solution is a comprehensive one that strikes the right balance for operations and crew welfare amid a range of ever-changing variables and requirements. 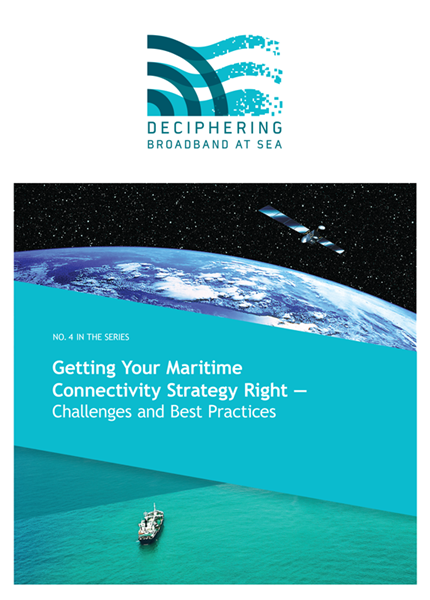 Watch this video and find out how taking an innovative approach to maritime SATCOM strategy holds the key to competitive success, and why an IT pro who thinks out of the box can deliver a SATCOM solution that will be a hit with everyone. 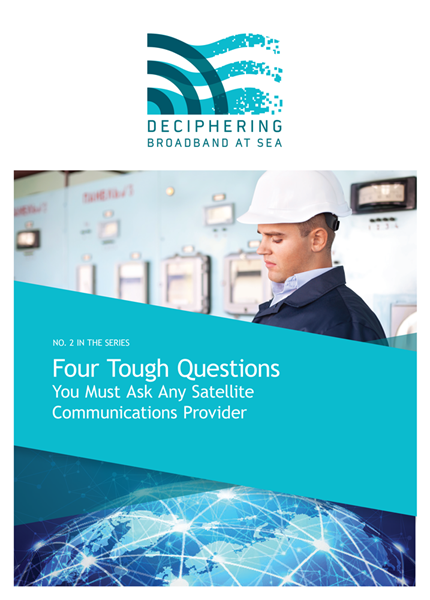 You want to deliver a SATCOM solution for your vessel or fleet that meets your operational needs, budget requirements, and is a hit with everyone at sea and on shore. Use this interactive reference guide to achieve success. Seafarers face very real challenges from being far from home for long periods of time plus their employers run the risks of reduced productivity, higher accident rates, and higher costs for recruitment and retention. There are resources available now that maritime crewing and manning professionals can use to aid their crews and officers.